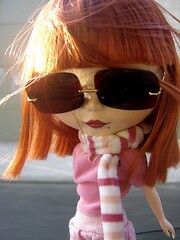 Can anyone tell me how I go about getting one of these dolls??? I really want one - and I am so confused! Can I buy one in the USA or do I need to have someone buy me one? I would really like one that has dark hair. I have looked on eBay and definitely do not want to pay $300 for one - but if anyone out there knows the process or collects them please contact me. Thanks in advance!